A Classic help on why Baptizing Children is biblical. The question of the Subjects of Baptism is one of that class of problems the solution of which hangs upon a previous question. According as is our doctrine of the Church, so will be our doctrine of the Subjects of Baptism. If we believe, with the Church of Rome, that the Church is in such a sense the institute of salvation that none are united to Christ save through the instrumentality of her ordinances, then we shall inevitably determine the proper subjects of her ordinances in one way. If, on the other hand, we believe, with the Protestant bodies, that only those already united to Christ have right within His house and to its privileges, we shall inevitably determine them in another way. All Protestants should easily agree that only Christ’s children have a right to the ordinance of baptism. The cleavage in their ranks enters in only when we inquire how the external Church is to hold itself relatively to the recognition of the children of Christ. If we say that its attitude should be as exclusive as possible, and that it must receive as the children of Christ only those whom it is forced to recognize as such, then we shall inevitably narrow the circle of the subjects of baptism to the lowest limits. If, on the other hand, we say that its attitude should be as inclusive as possible, and that it should receive as the children of Christ all whom, in the judgment of charity, it may fairly recognize as such, then we shall naturally widen the circle of the subjects of baptism to far more ample limits. The former represents, broadly speaking, the Puritan idea of the Church, the latter the general Protestant doctrine. It is on the basis of the Puritan conception of the Church that the Baptists are led to exclude infants from baptism. For, if we are to demand anything like demonstrative evidence of actual participation in Christ before we baptize, no infant, who by reason of years is incapable of affording signs of his union with Christ, can be thought a proper subject of the rite. The vice of this system, however, is that it attempts the impossible. No man can read the heart. As a consequence, it follows that no one, however rich his manifestation of Christian graces, is baptized on the basis of infallible knowledge of his relation to Christ. All baptism is inevitably administered on the basis not of knowledge but of presumption. And if we must baptize on presumption, the whole principle is yielded; and it would seem that we must baptize all whom we may fairly presume to be members of Christ’s body. In this state of the case, it is surely impracticable to assert that there can be but one ground on which a fair presumption of inclusion in Christ’s body can be erected, namely, personal profession of faith. Assuredly a human profession is no more solid basis to build upon than a divine promise. So soon, therefore, as it is fairly apprehended that we baptize on presumption and not on knowledge, it is inevitable that we shall baptize all those for whom we may, on any grounds, fairly cherish a good presumption that they belong to God’s people — and this surely includes the infant children of believers, concerning the favor of God to whom there exist many precious promises on which pious parents, Baptists as fully as others, rest in devout faith. 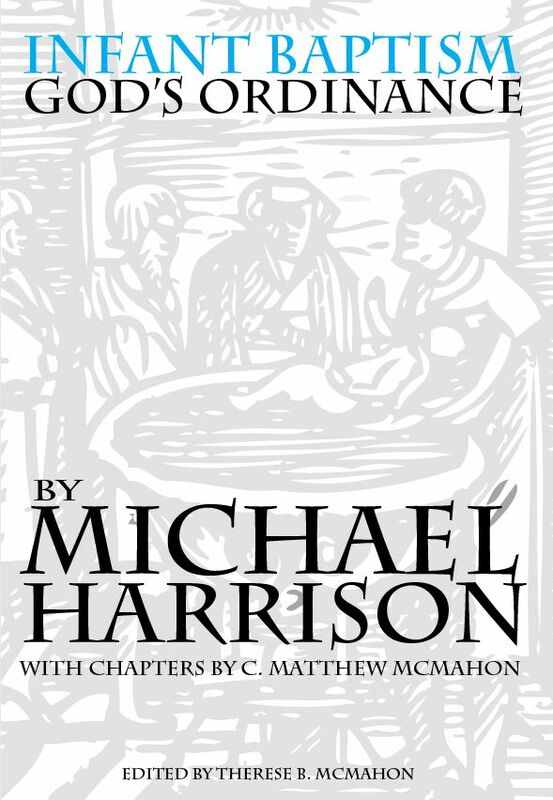 To this solid proof of the rightful inclusion of the infant children of believers among the subjects of baptism, is added the unavoidable implication of the continuity of the Church of God, as it is taught in the Scriptures, from its beginning to its consummation; and of the undeniable inclusion within the bounds of this Church, in its pre-Christian form, as participants of its privileges, inclusive of the parallel rite of circumcision, of the infant children of the flock, with no subsequent hint of their exclusion. To this is added further the historical evidence of the prevalence in the Christian Church of the custom of baptizing the infant children of believers, from the earliest Christian ages down to today. The manner in which it is dealt with by Augustine and the Pelagians in their controversy, by Cyprian in his letter to Fidus, by Tertullian in his treatise on baptism, leaves no room for doubt that it was, at the time when each of these writers wrote, as universal and unquestioned a practice among Christians at large as it is today — while, wherever it was objected to, the objection seems to have rested on one or the other of two contrary errors, either on an overestimate of the effects of baptism or on an underestimate of the need of salvation for infants. On such lines as these a convincing positive argument is capable of being set forth for infant baptism, to the support of which whatever obscure allusions to it may be found in the New Testament itself may then be summoned. And on these lines the argument has ordinarily been very successfully conducted, as may be seen by consulting the treatment of the subject in any of our standard works on systematic theology, as for example Dr. Charles Hodge’s. It has occurred to me that additional support might be brought to the conclusions thus positively attained by observing the insufficiency of the case against infant baptism as argued by the best furnished opponents of that practice. There would seem no better way to exhibit this insufficiency than to subject the presentation of the arguments against infant baptism, as set forth by some confessedly important representative of its opponents, to a running analysis. I have selected for the purpose the statement given in Dr. A. H. Strong’s “Systematic Theology.” What that eminently well-informed and judicious writer does not urge against infant baptism may well be believed to be confessedly of small comparative weight as an argument against the doctrine and practice. So that if we do not find the arguments he urges conclusive, we may well be content with the position we already occupy. (a) From the command and example of Christ and his apostles, which show: First, that those only are to be baptized who have previously been made disciples…. Secondly, that those only are to be baptized who have previously repented and believed…. (b) From the nature of the church — as a company of regenerate persons…. (c) From the symbolism of the ordinance — as declaring previous spiritual change in him who submits to it. Each of these items is supported by Scripture texts, though some of them are no doubt sufficiently inapposite. As, for example, when only John iii. 5 and Rom. vi. 13 — neither of which has anything to do with the visible Church — are quoted to prove that the visible Church (of which baptism is an ordinance) is “a company of regenerate persons”; or as when Matt. xxviii. 19 is quoted to prove that baptism took place after the discipling, as if the words ran matheteusantes baptizete, whereas the passage, actually standing matheteusate baptizontes, merely demands that the discipling shall be consummated in, shall be performed by means of baptism; or as when Acts x. 47, where the fact that the extraordinary power of the Holy Spirit had come upon Cornelius is pleaded as reason why baptism should not be withheld from him, and Rom. vi. 2-5, which only develops the spiritual implication of baptism, are made to serve as proofs that the symbolism of the ordinance declares always and constantly a ” previous” spiritual change. Apart from the Scriptural evidence actually brought forward, moreover, the propositions, in the extreme form in which they are stated, cannot be supported by Scripture. The Scriptures do not teach that the external Church is a company of regenerate persons — the parable of the tares for example declares the opposite: though they represent that Church as the company of those who are presumably regenerate. They do not declare that baptism demonstrates a “previous” change — the case of Simon Magus, Acts viii. 13, is enough to exhibit the contrary: though they represent the rite as symbolical of the inner cleansing presumed to be already present, and consequently as administered only on profession of faith. The main difficulty with Dr. Strong’s argument, however, is the illegitimate use it makes of the occasional character of the New Testament declarations. 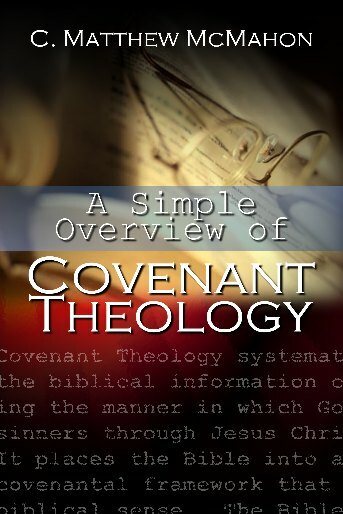 He is writing a “Systematic Theology” and is therefore striving to embrace the whole truth in his statements: he says therefore with conscious reference to infants, whose case he is soon to treat, “Those only are to be baptized who have previously repented and believed,” and the like. But the passages he quotes in support of this position are not drawn from a “Systematic Theology” but from direct practical appeals to quite definite audiences, consisting only of adults; or from narratives of what took place as the result of such appeals. Because Peter told the men that stood about him at Pentecost, “Repent ye and be baptized,” it does not follow that baptism might not have been administered by the same Peter to the infants of those repentant sinners previous to the infants’ own repentance. Because Philip baptized the converts of Samaria only after they had believed, it does not follow that he would not baptize their infants until they had grown old enough to repeat their parents’ faith, that they might, like them, receive its sign. The assertion contained in the first proof is, therefore, a non sequitur from the texts offered in support of it. There is a suppressed premise necessary to be supplied before the assumed conclusion follows from them, and that premise is that the visible Church consists of believers only without inclusion of their children — that Peter meant nothing on that day of Pentecost when he added to the words which Dr. Strong quotes: “Repent ye and be baptized every one of you in the name of Jesus Christ unto the remission of your sins ” — those other words which Dr. Strong does not quote: “For to you is the promise and to your children” (Acts ii. 38, 39). This suppressed premise Dr. Strong adjoins in the second item of proof which he adduces; but we must observe that it is not a second item, but a necessary element in the first item which without it is invalid. In a word, when we correct the Scripture he adduces and the illegitimate use he makes of Scripture, Dr. Strong’s whole argument reduces to the one item of the “nature of the Church, as a company of regenerate persons.” It is only on the ground that this is the true idea of the Church that the passages quoted to prove that baptism is to be administered “only” to such as have previously repented and believed, and those quoted to prove that the symbolism of the ordinance declares a “previous” spiritual change in him who submits to it, will justify the ” only ” and ” previous ” in which lies their point. The validity of the proof he offers thus depends on the truth of the assertion that the Church consists of regenerate persons; and whether this be true or not we need not here stay to examine: certainly the texts he adduces in proof of it, as already intimated, make no approach to establishing it. We rest securely in the result that according to Dr. Strong’s argument as well as our own conviction, the subjects of baptism are the members of the visible Church: and who those are, will certainly be determined by our theory of the nature of the Church. (a) Infant baptism is without warrant, either express or implied, in the Scripture…. (b) Infant baptism is expressly contradicted [by Scriptural teaching]…. (c) The rise of infant baptism in the history of the church is due to sacramental conceptions of Christianity, so that all arguments in its favor from the writings of the first three centuries are equally arguments for baptismal regeneration…. (d) The reasoning by which it is supported is unscriptural, unsound, and dangerous in its tendency…. (e) The lack of agreement among pedobaptists as to the warrant for infant baptism and as to the relation of baptized infants to the church, together with the manifest decline of the practice itself, are arguments against it…. (a) When we ask after a direct Scriptural warrant for infant baptism, in the sense which Dr. Strong has in mind in the first of these arguments, we, of course, have the New Testament in view, seeing that it is only in the new dispensation that this rite has been ordained. In this sense of the words, we may admit his first declaration — that there is no express command that infants should be baptized; and with it also his second — that there is in Scripture no clear example of the baptism of infants, that is, if we understand by this that there is no express record, reciting in so many words, that infants were baptized. When he adds to these, however, a third contention, that “the passages held to imply infant baptism contain, when fairly interpreted, no reference to such a practice,” we begin to recalcitrate. If it were only asserted that these passages contain no such stringent proof that infants were baptized as would satisfy us on the point in the absence of other evidence, we might yield this point also. But it is too much to ask us to believe that they contain “no reference to the practice ” if ” fairly interpreted.” What is a “fair” interpretation? Is it not an interpretation which takes the passages as they stand, without desire to make undue capital of them one way or the other? Well, a fair interpretation of these passages, in this sense, might prevent pedobaptists from claiming them as a demonstrative proof of infant baptism, and it would also certainly prevent anti-pedobaptists from asserting that they have “no reference to such a practice.” It should lead both parties to agree that the passages have a possible but not a necessary reference to infant baptism – – that they are neutral passages, in a word, which apparently imply infant baptism, but which may be explained without involving that implication if we otherwise know that infant baptism did not exist in that day. Fairly viewed, in other words, they are passages which will support any other indications of infant baptism which may be brought forward, but which will scarcely suffice to prove it against evidence to the contrary, or to do more than raise a presumption in its favor in the absence of other evidence for it. For what are these passages? The important ones are Acts xvi. 15, which declares that Lydia was “baptized and her household,” and Acta xvi. 38, which declares that the jailer was “baptized and all his,” together with I Cor. I. 16, “And I baptized also the household of Stephanas.” Certainly at first blush we would think that the repeated baptism of households without further description, would imply the baptism of the infants connected with them. It may be a “fair” response to this that we do not know that there were any infants in these households — which is true enough, but not sufficient to remove the suspicion that there may have been. It may be a still ” fairer ” reply to say that whether the infants of these families (if there were infants in them) were baptized or not, would depend on the practice of the apostles; and whatever that practice was would be readily understood by the first readers of the Acts. But this would only amount to asking that infant baptism should not be founded solely on these passages alone; and this we have already granted. Neither of these lines of argument is adduced by Dr. Strong. They would not justify his position — which is not that the baptism of infants cannot be proved by these passages, but much more than this — that a fair interpretation of them definitely excludes all reference to it by them. Let us see what Dr. Strong means by a “fair” interpretation. To the case of Lydia he appends “cf. 40,” which tells us when Paul and Silas were loosed from prison ” they entered into the house of Lydia, and when they had seen the brethren they comforted them and departed “– from which, apparently, he would have us make two inferences, (1) that these “brethren” constituted the household of Lydia that was baptized, and (2) that these “brethren ” were all adults. In like manner to the case of the jailer he appends the mystic “cf. 34,” which tells us that the saved jailer brought his former prisoners up into his house and set meat before them and “rejoiced greatly, having believed, with all his house, on God” — from which he would apparently have us infer that there was no member of the household, baptized by Paul, who was too young to exercise personal faith. So he says with reference to I Cor. I. 16, that ” I Cor. xvi. 15 shows that the whole family of Stephanas, baptized by Paul, were adults.” Nevertheless, when we look at I Cor. xvi. 15, we read merely that the house of Stephanas were the first fruits of Achaia and that they had set themselves to minister unto the saints — which leaves the question whether they are all adults or not just where it was before, that is, absolutely undetermined. Nor is this all. To these passages Dr. Strong appends two others, one properly enough, I Cor. vii. 14, where Paul admonishes the Christian not to desert the unbelieving husband or wife, “for the unbelieving husband is sanctified in the wife, and the unbelieving wife is sanctified in the brother; else were your children unclean; but now are they holy.” This is doubtless a passage similar to the others; a passage certainly which does not explicitly teach infant baptism, but equally certainly which is not inconsistent with it — which would, indeed, find a ready explanation from such a custom if such a custom existed, and therefore stands as one of the passages which raise at least a suspicion that infant baptism underlies the form of expression — since the holiness of the children is taken for granted in it and the sanctification of the unbelieving partner inferred from it — but is yet no doubt capable of an explanation on the supposition that that practice did not exist and is therefore scarcely a sure foundation for a doctrine asserting it. Dr. Strong is, however, not satisfied with showing that no stringent inference can be drawn from it in favor of infant baptism. He claims it as a “sure testimony,” a “plain proof” against infant baptism, on the grounds that the infants and the unbelieving parent are put by it in the same category, and (quoting Jacobi) that if children had been baptized, Paul would certainly have referred to their baptism as a proof of their holiness. And this in the face of the obvious fact that the holiness of the children is assumed as beyond dispute and in no need of proof, doubt as to which would be too horrible to contemplate, and the sanctification of the husband or wife inferred from it. Of course, it is the sanctity or holiness of external connection and privilege that is referred to, both with reference to the children and the parent; but that of the one is taken for granted, that of the other is argued; hence it lies close to infer that the one may have had churchly recognition and the other not. Whether that was true or not, however, the passage cannot positively decide for us; it only raises a suspicion. But this suspicion ought to be frankly recognized. The other passage which is adjoined to these is strangely found in their company, although it, too, is one of the “neutral texts.” It is Matt. xix. 14: ” Suffer the little children and forbid them not to come unto me; for to such belongeth the kingdom of heaven.” What has this to do with baptism? Certainly nothing directly; only if it be held indirectly to show that infants were received by Christ as members of His Kingdom on earth, that is, of His Church, can it bear on the controversy. But notice Dr. Strong’s comment: “None would have ‘forbidden,’ if Jesus and his disciples had been in the habit of baptizing infants.” Does he really think this touches the matter that is raised by this quotation? Nobody supposes that “Jesus and his disciples” were in the habit of baptizing infants; nobody supposes that at the time these words were spoken, Christian baptism had been so much as yet instituted. Dr. Strong would have to show, not that infant baptism was not practiced before baptism was instituted, but that the children were not designated by Christ as members of His ” Kingdom,” before the presumption for infant baptism would be extruded from this text. It is his unmeasured zeal to make all texts which have been appealed to by pedobaptists — not merely fail to teach pedobaptism — but teach that children were not baptized, that has led him so far astray here. We cannot profess to admire, then, the “fair” interpretations which Dr. Strong makes of these texts. No one starting out without a foregone conclusion could venture to say that, when “fairly interpreted,” they certainly make no reference to baptism of infants. Nevertheless, I freely allow that they do not suffice, taken by themselves, to prove that infants were baptized by the apostles — they only suggest this supposition and raise a presumption for it. And, therefore, I am prepared to allow in general the validity of Dr. Strong’s first argument — when thus softened to reasonable proportions. It is true that there is no express command to baptize infants in the New Testament, no express record of the baptism of infants, and no passages so stringently implying it that we must infer from them that infants were baptized. If such warrant as this were necessary to justify the usage we should have to leave it incompletely justified. But the lack of this express warrant is something far short of forbidding the rite; and if the continuity of the Church through all ages can be made good, the warrant for infant baptism is not to be sought in the New Testament but in the Old Testament, when the Church was instituted, and nothing short of an actual forbidding of it in the New Testament would warrant our omitting it now. As Lightfoot expressed it long ago, “It is not forbidden” in the New Testament to ” baptize infants, — therefore, they are to be baptized.” Dr. Strong commits his first logical error in demanding express warrant for the continuance of a long-settled institution, instead of asking for warrant for setting it aside. (b) If thus the first argument is irrelevant as a whole as well as not very judiciously put in its details, is not its failure well atoned for in the second one? His second argument undertakes to show that “infant baptism is expressly contradicted” by Scriptural teaching. Here, at length, we have the promise of what was needed. But if we expect stringent reason here for the alteration of the children-including covenant, we shall be sadly disappointed. Dr. Strong offers four items. First, infant baptism is contradicted “by the Scriptural prerequisites of faith and repentance, as signs of regeneration,” which is valid only on the suppressed assumption that baptism is permissible only in the case of those who prove a previous regeneration — which is the very point in dispute. Secondly, “by the Scriptural symbolism of the ordinance.” “As we should not bury a person before his death, so we should not symbolically bury a person by baptism until he has in spirit died to sin.” Here not only that the symbolism of baptism is burial is gratuitously assumed, but also that this act, whatever be its symbolism, could be the symbol only of an already completed process in the heart of the recipient — which again is the very point in dispute. Thirdly, “by the Scriptural constitution of the church ” — where again the whole validity of the argument depends on the assumption that infants are not members of the Church — the very point in dispute. These three arguments must therefore be thrown at once out of court. If the Scriptures teach that personal faith and repentance are prerequisites to baptism, if they teach that one must have previously died to sin before he is baptized, if they teach that the visible Church consists of regenerate adults only — why, on any of these three identical propositions, each of which implies all the others, of course infants may not be baptized — for this again is but an identical proposition with any of the three. But it is hardly sound argumentation simply to repeat the matter in dispute in other words and plead it as proof. The fourth item is more reasonable — ” By the Scriptural prerequisites for participation in the Lord’s Supper. Participation in the Lord’s Supper is the right only of those who can ‘ discern the Lord’s body ‘ (I Cor. xi. 29). No reason can be assigned for restricting to intelligent communicants the ordinance of the Supper, which would not equally restrict to intelligent believers the ordinance of Baptism.” Hence Dr. Strong thinks the Greek Church more consistent in administering the Lord’s Supper to infants. It seems, however, a sufficient answer to this to point to the passage quoted: the express declaration of Scripture, that those who are admitted to the Lord’s Supper — a declaration made to those who were already baptized Christians — should be restricted to those who discern the Lord’s body, is a sufficient Scriptural reason for restricting participation in the Lord’s Supper to intelligent communicants; while the absence of that Scripture restriction in its case is a sufficient Scriptural reason for refusing to apply it to baptism. If we must support this Scriptural reason with a purely rational one, it may be enough to add that the fact that baptism is the initiatory rite of the Church supplies us with such a reason. The ordinances of the Church belong to the members of it; but each in its own appointed time. The initiatory ordinance belongs to the members on becoming members, other ordinances become their right as the appointed seasons for enjoying them roll around. We might as well argue that a citizen of the United States has no right to the protection of the police until he can exercise the franchise. The rights all belong to him: but the exercise of each comes in its own season. It is easily seen by the help of such examples that the possession of a right to the initiatory ordinance of the Church need not carry with it the right to the immediate enjoyment of all church privileges: and thus the challenge is answered to show cause why the right to baptism does not carry with it the right to communion in the Lord’s Supper. With this challenge the second argument of Dr. Strong is answered, too. (c) The third argument is really an attempt to get rid of the pressure of the historical argument for infant baptism. Is it argued that the Christian Church from the earliest traceable date baptized infants? — that this is possibly hinted in Justin Martyr, assumed apparently in Irenaeus, and openly proclaimed as apostolical by Origen and Cyprian while it was vainly opposed by Tertullian? In answer it is replied that all these writers taught baptismal regeneration and that infant baptism was an invention coming in on the heels of baptismal regeneration and continued in existence by State Churches. There is much that is plausible in this contention. The early Church did come to believe that baptism was necessary to salvation; this doctrine forms a natural reason for the extension of baptism to infants, lest dying unbaptized they should fail of salvation. Nevertheless, the contention does not seem to be the true explanation of the line of development. First, it confuses a question of testimony to fact with a question of doctrine. The two — baptismal regeneration and infant baptism — do not stand or fall together, in the testimony of the Fathers. Their unconscious testimony to a current practice proves its currency in their day; but their witness to a doctrine does not prove its truth. We may or may not agree with them in their doctrine of baptismal regeneration. But we cannot doubt the truth of their testimony to the prevalence of infant baptism in their day. We admit that their day is not the apostles’ day. We could well wish that we had earlier witness. We may be sure from the witness of Origen and Cyprian that they were baptized in their infancy — that is, that infant baptism was the usual practice in the age of Irenaeus — a conclusion which is at once strengthened by and strengthens the witness of Irenaeus. But the practice of the latter half of the second century need not have been the practice of the apostles. A presumption is raised, however — even though so weak a one that it would not stand against adverse evidence. But where is the adverse evidence? Secondly, Dr. Strong’s view reverses the historical testimony. As a matter of history it was not the inauguration of the practice of infant baptism which the doctrine of baptismal regeneration secured, but the endangering of it. It was because baptism washed away all sin and after that there remained no more laver for regeneration, that baptism was postponed. It is for this reason that Tertullian proposes its postponement. Lastly, though the historical evidence may not be conclusive for the apostolicity of infant baptism, it is in that direction and is all that we have. There is no evidence from primitive church history against infant baptism, except the ambiguous evidence of Tertullian; so that our choice is to follow history and baptize infants or to reconstruct by a priori methods a history for which we have no evidence. (d) Dr. Strong’s fourth item is intended as a refutal of the reasoning by which the advocates of pedobaptism support their contention. As such it naturally takes up the reasoning from every kind of sources and it is not strange that some of the reasoning adduced in it is as distasteful to us as it is to him. We should heartily unite with him in refusing to allow the existence of any power in the Church to modify or abrogate any command of Christ. Nor could we find any greater acceptability than he does in the notion of an “organic connection” between the parent and the child, such as he quotes Dr. Bushnell as advocating. Nevertheless we can believe in a parent acting as representative of the child of his loins, whose nurture is committed to him; and we can believe that the status of the parent determines the status of the child — in the Church of the God whose promise is “to you and your children,” as well as, for example, in the State. And we can believe that the Church includes the minor children of its members for whom they must as parents act, without believing that it is thereby made a hereditary body. I do not purpose here to go over again the proofs, which Dr. Hodge so cogently urges, that go to prove the continuity of the Church through the Old and New dispensations — remaining under whatever change of dispensation the same Church, with the same laws of entrance and the same constituents. The antithesis which Dr. Strong adduces — that “the Christian Church is either a natural, hereditary body, or it was merely typified by the Jewish people ” — is a false antithesis. 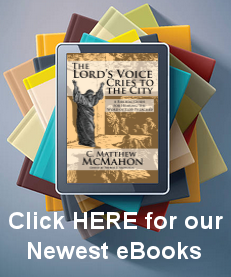 The Christian Church is not a natural, hereditary body and yet it is not merely the antitype of Israel. It is, the apostles being witnesses, the veritable Israel itself. It carried over into itself all that was essentially Israelitish — all that went to make up the body of God’s people. Paul’s figures of the olive tree in Romans and of the breaking down of the middle wall of partition in Ephesians, suffice to demonstrate this; and besides these figures he repeatedly asserts it in the plainest language. So fully did the first Christians — the apostles — realize the continuity of the Church, that they were more inclined to retain parts of the outward garments of the Church than to discard too much. Hence circumcision itself was retained; and for a considerable period all initiates into the Church were circumcised Jews and received baptism additionally. We do not doubt that children born into the Church during this age were both circumcised and baptized. The change from baptism superinduced upon circumcision to baptism substituted for circumcision was slow, and never came until it was forced by the actual pressure of circumstances. The instrument for making this change and so — who can doubt it? — for giving the rite of baptism its right place as the substitute for circumcision, was the Apostle Paul. We see the change formally constituted at the so-called Council of Jerusalem, in Acts xv. Paul had preached the gospel to Gentiles and had received them into the Church by baptism alone, thus recognizing it alone as the initiatory rite, in the place of circumcision, instead of treating as heretofore the two together as the initiatory rites into the Christian Church. But certain teachers from Jerusalem, coming down to Antioch, taught the brethren ” except ye be circumcised after the custom of Moses ye cannot be saved.” Paul took the matter before the Church of Jerusalem from which these new teachers professed to emanate; and its formal decision was that to those who believed and were baptized circumcision was not necessary. How fully Paul believed that baptism and circumcision were but two symbols of the same change of heart, and that one was instead of the other, may be gathered from Col. ii.11, when, speaking to a Christian audience of the Church, he declares that “in Christ ye were also circumcised “– but how? — “with a circumcision not made with hands, in putting off the body of the flesh,” — that is, in the circumcision of Christ. But what was this Christ-ordained circumcision? The Apostle continues: “Having been buried with Him in baptism, wherein also ye were raised with Him through faith in the working of God, who raised Him from the dead.” Hence in baptism they were buried with Christ, and this burial with Christ was the circumcision which Christ ordained, in the partaking of which they became the true circumcision. This falls little, if any, short of a direct assertion that the Christian Church is Israel, and has Israel’s circumcision, though now in the form of baptism. Does the view of Paul, now, contradict the New Testament idea of the Church, or only the Baptist idea of the Church? No doubt a large number of the members of the primitive Church did insist, as Dr. Strong truly says, that those who were baptized should also be circumcised: and no doubt, this proves that in their view baptism did not take the place of circumcision. But this was an erroneous view: is represented in the New Testament as erroneous; and it is this exact view against which Paul protested to the Church of Jerusalem and which the Church of Jerusalem condemned in Acts xv. Thus the Baptist denial of the substitution of baptism for circumcision leads them into the error of this fanatical, pharisaical church-party! Let us take our places in opposition, along with Paul and all the apostles. Whether, then, that the family is the unit of society is a relic of barbarism or not, it is the New Testament basis of the Church of God. God does make man the head of the woman — does enjoin the wife to be in subjection to her husband — and does make the parents act on behalf of their minor children. He does, indeed, require individual faith for salvation; but He organizes His people in families first; and then into churches, recognizing in their very warp and woof the family constitution. His promises are all the more precious that they are to us and our children. And though this may not fit in with the growing individualism of the day, it is God’s ordinance. (e) Dr. Strong’s fifth argument is drawn from the divergent modes in which pedobaptists defend their position and from the decline among them of the practice of the rite. Let us confess that we do not all argue alike or aright. But is not this a proof rather of the firm establishment in our hearts of the practice? We all practice alike; and it is the propriety of the practice, not the propriety of our defense of it, that is, after all, at stake. But the practice is declining, it is said. Perhaps this is true. Dr. Vedder’s statistics seem to show it. But if so, does the decline show the practice to he wrong, or Christians to be unfaithful? It is among pedobaptists that the decline is taking place — those who still defend the practice. Perhaps it is the silent influence of Baptist neighbors; perhaps it is unfaithfulness in parents; perhaps the spread of a Quakerish sentiment of undervaluation of ordinances. Many reasons may enter into the account of it. But how does it show the practice to be wrong? According to the Baptist reconstruction of history, the Church began by not baptizing infants. But this primitive and godly practice declined — rapidly declined — until in the second century all infants were baptized and Tertullian raised a solitary and ineffectual voice crying a return to the older purity in the third. Did that decline of a prevalent usage prove it to be a wrong usage? By what logic can the decline in the second century be made an evidence in favor of the earlier usage, and that of the nine-teenth an evidence against it? (f) We must pass on, however, to the final string of arguments, which would fain point out the evil effects of infant baptism. First, it forestalls the act of the child and so prevents him from ever obeying Christ’s command to be baptized — which is simply begging the question. We say it obeys Christ’s command by giving the child early baptism and so marking him as the Lord’s. Secondly, it is said to induce superstitious confidence in an outward rite, as if it possessed regenerating efficacy; and we are pointed to frantic mothers seeking baptism for their dying children. Undoubtedly the evil does occur and needs careful guarding against. But it is an evil not confined to this rite, but apt to attach itself to all rites — which need not, therefore, be all abolished. We may remark, in passing, on the unfairness of bringing together here illustrative instances from French Catholic peasants and High Church Episcopalians, as if these were of the same order with Protestants. Thirdly, it is said to tend to corrupt Christian truth as to the sufficiency of Scripture, the connection of the ordinances, and the inconsistency of an impenitent life with church membership, as if infant baptism necessarily argued sacramentarianism, or as if the churches of other Protestant bodies were as a matter of fact more full of “impenitent members” than those of the Baptists. This last remark is in place also, in reply to the fourth point made, wherein it is charged that the practice of infant baptism destroys the Church as a spiritual body by merging it in the nation and in the world. It is yet to be shown that the Baptist churches are purer than the pedobaptist. Dr. Strong seems to think that infant baptism is responsible for the Unitarian defection in New England. I am afraid the cause lay much deeper. Nor is it a valid argument against infant baptism, that the churches do not always fulfill their duty to their baptized members. This, and not the practice of infant baptism, is the fertile cause of incongruities and evils innumerable. Lastly, it is urged that infant baptism puts ” into the place of Christ’s command a commandment of men, and so admit[s]… the essential principle of all heresy, schism, and false religion ” — a good, round, railing charge to bring against one’s brethren: but as an argument against infant baptism, drawn from its effects, somewhat of a petitio principii. If true, it is serious enough. But Dr. Strong has omitted to give the chapter and verse where Christ’s command not to baptize infants is to be found. One or the other of us is wrong, no doubt; but do we not break an undoubted command of Christ when we speak thus harshly of our brethren, His children, whom we should love? Were it not better to judge, each the other mistaken, and recognize, each the other’s desire to please Christ and follow His commandments? Certainly I believe that our Baptist brethren omit to fulfill an ordinance of Christ’s house, sufficiently plainly revealed as His will, when they exclude the infant children of believers from baptism. But I know they do this unwittingly in ignorance; and I cannot refuse them the right hand of fellowship on that account. But now, having run through these various arguments, to what conclusion do we come? Are they sufficient to set aside our reasoned conviction, derived from some such argument as Dr. Hodge’s, that infants are to be baptized? A thousand times no. So long as it remains true that Paul represents the Church of the Living God to be one, founded on one covenant (which the law could not set aside) from Abraham to today, so long it remains true that the promise is to us and our children and that the members of the visible Church consist of believers and their children — all of whom have a right to all the ordinances of the visible Church, each in its appointed season. The argument in a nutshell is simply this: God established His Church in the days of Abraham and put children into it. They must remain there until He puts them out. He has nowhere put them out. They are still then members of His Church and as such entitled to its ordinances. Among these ordinances is baptism, which standing in similar place in the New Dispensation to circumcision in the Old, is like it to be given to children.